He is a retired schoolteacher who firmly believes in democracy and he has never missed even once to cast his vote. India’s oldest voter at 102, is gearing up to cast his vote in the upcoming Lok Sabha elections. 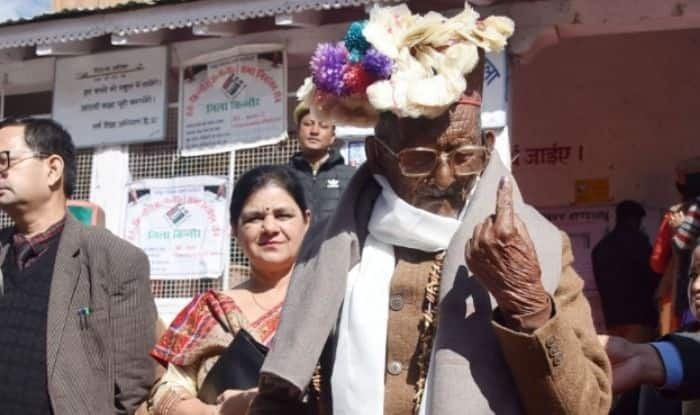 Starting in 1951, Shyam Saran Negi, who resides in Kalpa, Himachal Pradesh, has voted in every general election since then. As a retired schoolteacher, he is a staunch believer in democracy and wants other Indians too not to miss an opportunity to vote. Negi, whose one favourite activity is listening to Prime Minister Narendra Modi on the radio during his Mann Ki Baat programme, has been appointed a brand ambassador by the state Election Commission for its SVEEP (Systematic Voters’ Education and Electoral Participation) campaign. According to IANS, Chief Electoral Officer Gopal Chand said an appeal would be issued soon on his behalf to the people to vote for the May 19 Lok Sabha elections. Negi lives with his youngest son Chander Parkash in the picturesque village of Kalpa in Kinnaur district, some 275 km from the state capital. The centenarian, who lost his wife at the age of 80 years in 2014, said it is important to vote. “I am appealing to all the voters, especially the younger generation, to spare time and elect an honest man who can take the country to new heights,” Negi told IANS, speaking through his son Parkash. Negi, who is hard of hearing, will turn 103 on July 1. He likes to listen to the radio, and has three sons and five daughters and several grandchildren and great-grandchildren. He lost his eldest son in 2002. Retired as a junior basic teacher from a government school in 1975, Negi was among the first to vote in independent India’s first Lok Sabha battle in 1951 in Chini constituency – later renamed Kinnaur. In 2010, then Chief Election Commissioner Navin Chawla visited Negi’s village to honour him as part of the Election Commission’s diamond jubilee celebrations. “Yes, I will be among the first to cast my vote,” Negi said.